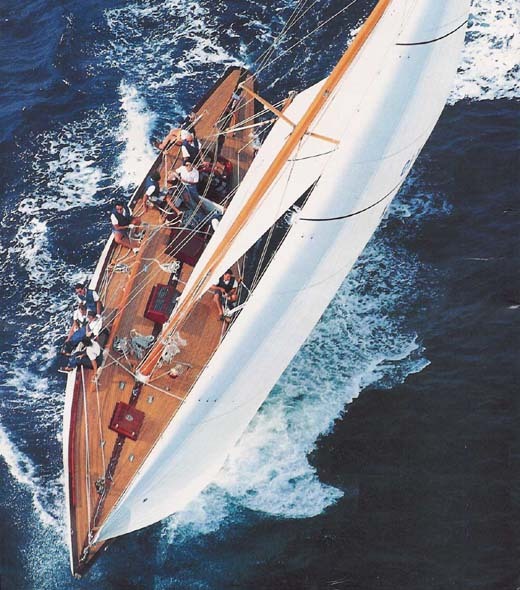 Between 1958 and 1987 the 12mR class was used for the America's Cup, the oldest and most prestigious trophy in sports. 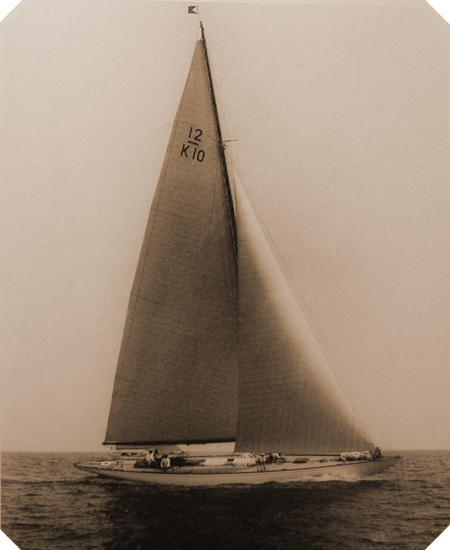 But even before that, the Twelves had been quite popular among the rich and famous owners of racing yachts in the late thirties, especially in Great Britain, Scandinavia, the United States and Germany. TRIVIA was built by Camper & Nicholsons for Mr. Vernon W. MacAndrew in 1937 and in the same year began to compete with the other Twelve metres obtaining excellent results and was classified at first place in her class. In 1938 MacAndrew steered her so successfully that at Cowes Week he won 21 prices, including the King's Cup. In both seasons EVAINE, another Charles Nicholson design, had been a very close second and so YACHTING MONTHLY wrote that "the fight between the two yachts has added a new chapter to English yacht racing, even comparable with those of past history." 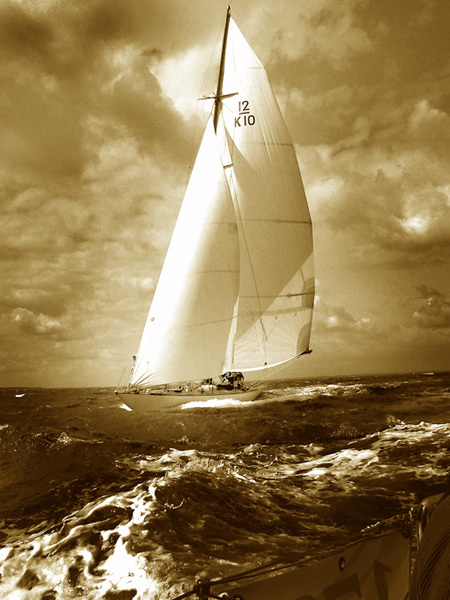 The 1939 season marked a breakthrough for the Twelve metres as the dominant class in international yachting. The leading yacht designers and yards who had previously built the giant J-Class yachts for the America's Cup now turned their focus to the 12 Metre class. William Fife built FLICA II for Hugh Goodson, Alfred Mylne designed JENETTA for Sir William Burton, Charles Nicholson delivered TOMAHAWK to Sir Thomas Sopwith and Olin Stephens designed VIM for Harald S. Vanderbilt. Although it would take two more decades until the America's Cup would continue with Twelves, this season was a first glimpse at what was to come. Especially VIM and FLICA introduced many innovations, such as tank testing, aluminium masts, rudder trim tabs, rod rigging and coffee grinders. Still, TRIVIA and EVAINE held up nicely and even won a number of races again, but VIM clearly dominated the season. It was a change of design generations where William Fife, Alfred Mylne, Johan Anker and Charles Nicholson would have to leave the future to the young Olin Stephens, who would dominate the America's Cup for the upcoming 4 decades. The Second World War brought an end to the regattas for the Twelve metres in Great Britain. Vernon MacAndrew died on June 22nd 1940 as a German magnetic mine sank his yacht Campeador, which had been converted to a patrol vessel. His patriotic, courageous and unselfish attitude is described in Cecil Hunt's book "The Gallant Little Campeador". After the war, TRIVIA was sold to Charles Ulrick Bay, an American industrialist and U.S. ambassador in Norway, where she sailed from 1948 until 1958 under her new name Norsaga. During that time Norway enjoyed a large fleet of twelves with over 20 boats. Many of them where Anker designs, but the popularity of the class had obviously also attracted a number of other twelves from around Europe. Rick Bay quite actively promoted 12 Metre racing and so a group of twelves including Noresca, Vema III, Figaro VI, Blue Marlin and Thea regularly raced against Norsaga in the Oslo Fjord until Bay died in December 1955. The original logbook from that period gives us some impressions about the time. Bay often invited guests from the U.S. as well as other ambassadors and friends from Norway. They sailed on summer weekends in the Fjord between Oslo and Hankø and sometimes went as far as the west coast of Sweden. The first page of the logbook shows the signatures of the Royal Norwegian family, Crown Prince Olav and Princess Märtha with their children Ragnhild, Astrid and Harald, today's King of Norway. Prince Harald was 12 years old at that time as you can tell from his childlike handwriting. A few other guest quotes: "The loveliest day this summer! ", "... a delightful and unforgettable cruise on the Swedish coast", "The most enjoyable Sunday of the summer 1954". 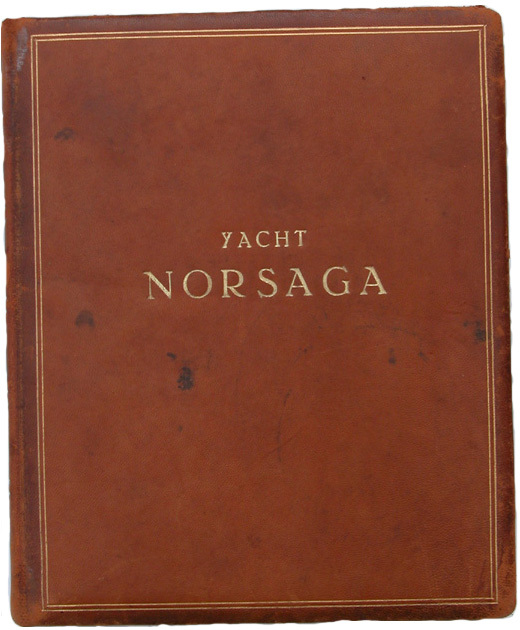 After Rick Bay died, his wife Josephine still kept on sailing Norsaga with guests until the summer of 1958. 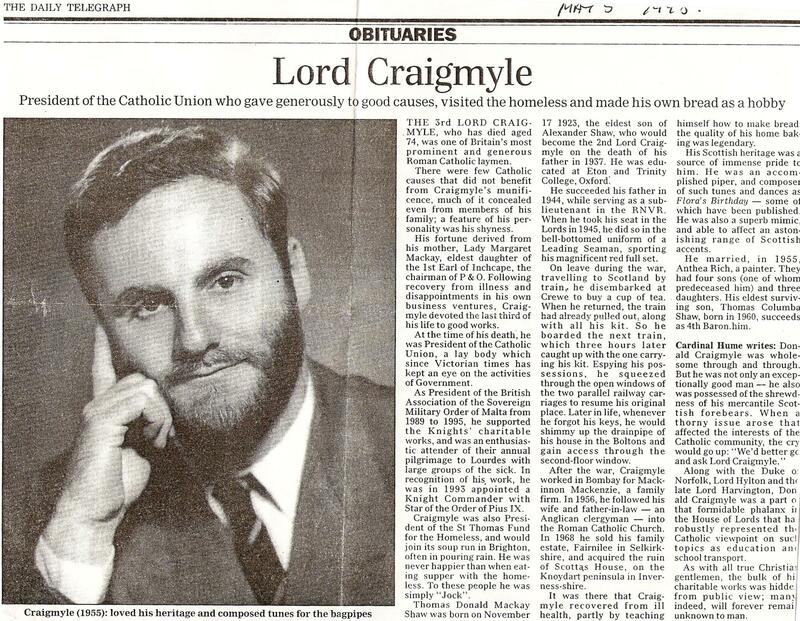 In 1959 Lord Craigmyle brought TRIVIA back to Cowes and organized the Red Duster Syndicate that planned an America's Cup challenge for 1962. But when Australia entered the America's Cup with GRETEL, the British campaign had to wait until 1964 for another challenge. In 1963 John Arthur Robb modified TRIVIA to be a trial horse for the selections of the 1964 challenger. 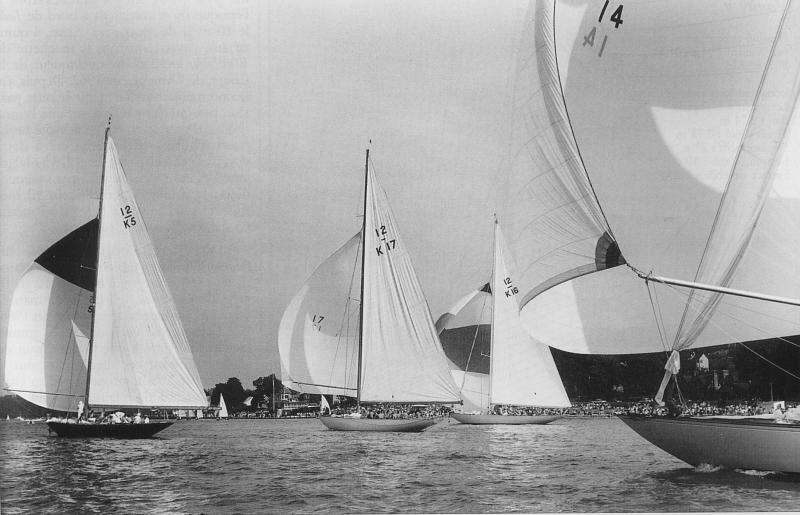 So in the summer of 1963 TRIVIA returned to Cowes Week and after 25 years again beat the entire British 12 Metre fleet, including Evaine, Vanity, Sceptre, Flica II and even the new boat Sovereign. In May and June 1964 she entered the official British trials with nineteen runs between Sovereign, Kurrewa, Flica, Sceptre and TRIVIA (as Norsaga). She was then transported to the U.S. to continue her training of Sovereign with the selection trials organised to appoint the challenger between Sovereign and Kurrewa. After the 1964 America's Cup she was sold in the U.S. to Harry J. Ziemann who sailed her on Lake Michigan. In the 1968 Chicago-Mackinac race TRIVIA proved what she could do under the most formidable weather conditions in fifty-seven years. A record fleet of 185 yachts, cream of the Great Lakes deep-water fleet, started the 333-mile dash to Mackinac Island. But only 157 yachts finished in the roughest event since 1911. Twenty-eight yachts were forced to abandon the race as casualties of 50- to 60-knot squalls. TRIVIA was the first boat across, followed by another Twelve-Meter MITENA. TRIVIA actually sailed the fifth fastest time in history: 37 hours, 40 minutes. 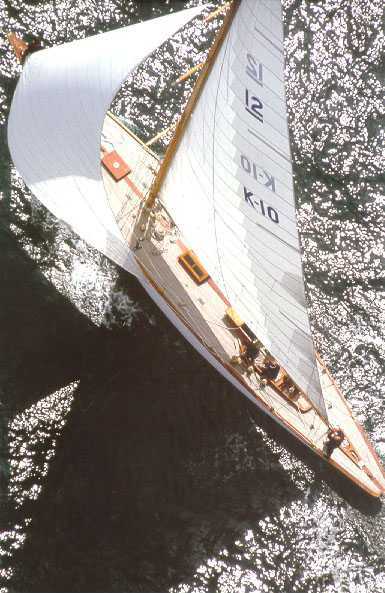 In the following year she again won the same race in very light winds in 60 hours and 29 minutes. During the 70s, TRIVIA still sailed in America under the name PHOENIX, until she sank after an accident. The wreck was brought back to England in the mid 80s and was kept there several years to be restored. In 1991 TRIVIA was finally undertaken a complete restoration by the Italian yacht designers Giorgetti & Magrini at Camper & Nicholson in Gosport. The restoration strictly conformed to the original design and construction. All materials and components are identical or similar to what was used in 1937. Until 2000 her home port was Monaco and she took part in the European Championship for Twelve Metres, obtaining some good results. In particular, she won the Porto Cervo Regatta and the Coupe des Yacht Club de France in 1993, and the Voiles de Saint Tropez in 2000. In August 2001 TRIVIA participated in the 150-year America's Cup Jubilee in Cowes. So she was back in the waters of the Solent, where she was originally built and also restored. 36 Twelve Metres from across the world joint for this unique event which brought back an era of truly exceptional yacht racing. Since 2002 TRIVIA is again sailing in the Baltic sea together with the Nordic fleet of Twelves and has won numerous regattas, including the Robbe & Berking Cup in Flensburg and the Europe Week in Svendborg in 2003. In 2007 TRIVIA returned to the Mediterranean together with many other 12 Metres to celebrate the 100 year anniversary of the Metre Class with a series of regatttas, the Centennial Tour. TRIVIA won 10 of the 18 races in Valencia, Porto Cervo, Cannes and Saint Tropez and finished first overall in the Vintage Division of pre World-War II boats. In 2008 she was back in the Baltic Sea for the 12 Metre World Championship in Flensburg where she took an excellent 2nd place behind the Prada team on Nyala and finished first overall in the Baltic 12 Metre Cup. © Trivia GmbH. For comments & questions please e-mail.